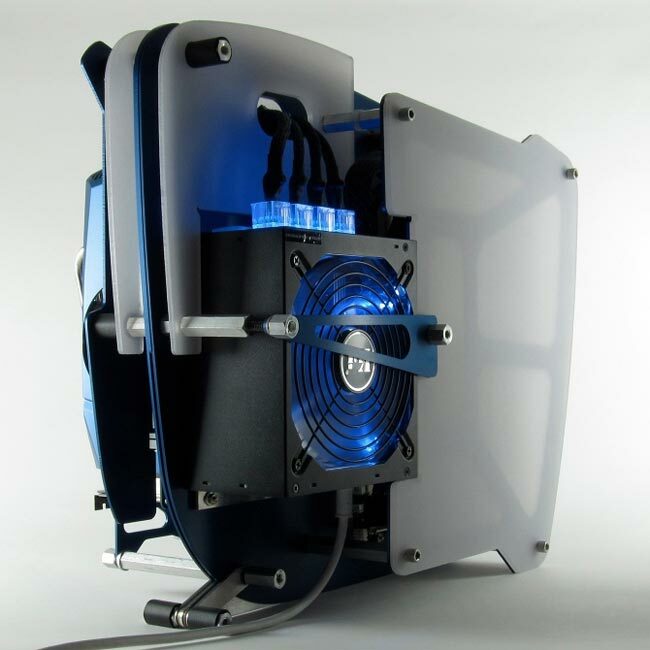 The Hammerhead HMR98902 is a custom PC created by designer Matthew Kim and has been created using “Eco-resin” plastic and machined aluminium plates that have been anodised Blue. Eco Resin panels are created from waste plastics taken from the fronts of old vending machines and point-of-sale units and then recycled to create a clear resin panel. 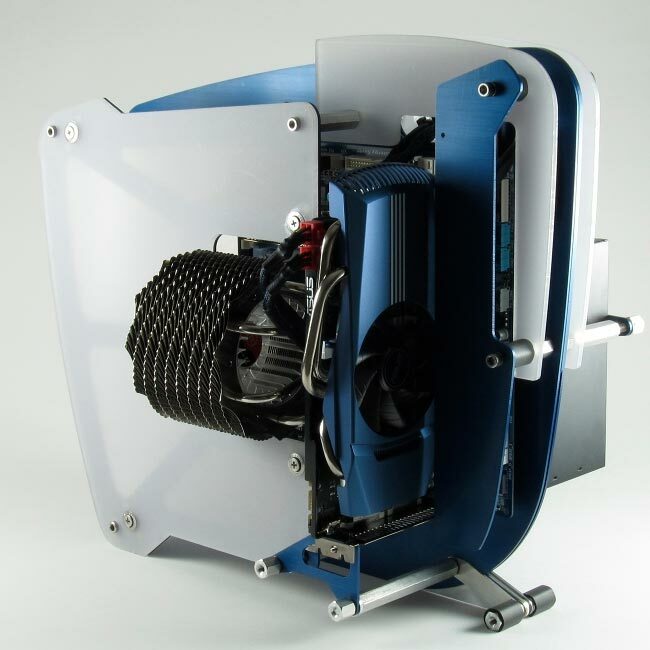 Matthew designs and builds each Hammerhead PC himself tailored to the customers requirements and each system has it’s own unique serial number. Other models include the HMR98903 & HMR98904, and are available in black brushed anodized carbon, and quattro carbon trim. If you fancy a customer rig yourself Matthew takes around 2 weeks to create on and prices start from $2,899. You can check out more images over at Darwin Machine.